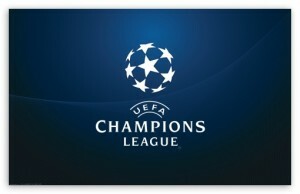 In the UEFA Champions League we will have some great games, although the first legs of the Round of 16 are played only but here on this page we will be placing the teams and the matchups about who is going to face whom in the exciting Quarterfinal ties. Some teams have already done enough to put there one foot in the next round. German giants Bayern Munich beaten Arsenal at Emirates 3-1 and there is little chance if any for the gunners to get through this round in the next round, Milan beat Barcelona at San Siro 2-0 and barca have mountain to climb in the 2nd leg. Manchester United drew with Real Madrid 1-1 and should be favourites in 2nd leg while Borussia Dortmund drew with Shakhter Dontesk 2-2 away from home. Juventus beat Celtic 3-0 at Celtic park and should have no problem going through to the quarter finals. PSG won against Valencia 2-1 and will be favorutes in next round. here are some of prediction of the teams who will be going through to the next round.